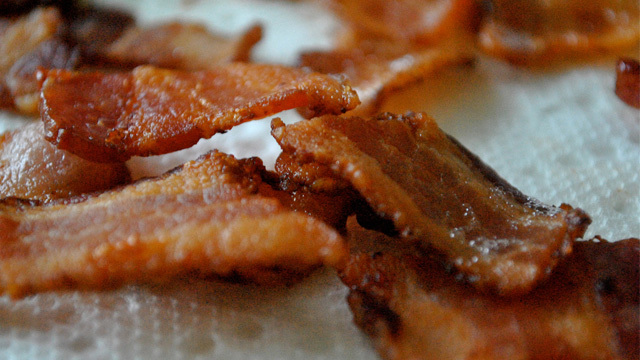 It's so sinful and gooey. 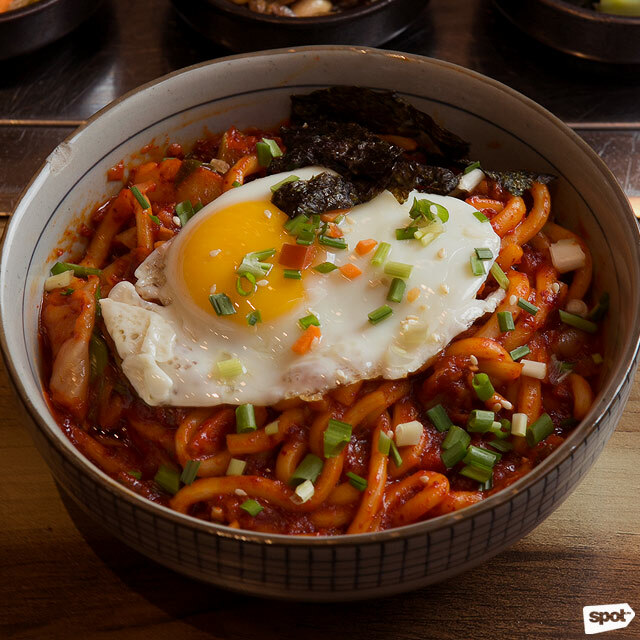 (SPOT.ph) If there are two things Koreans love about food, it's cheese and spicy flavors. 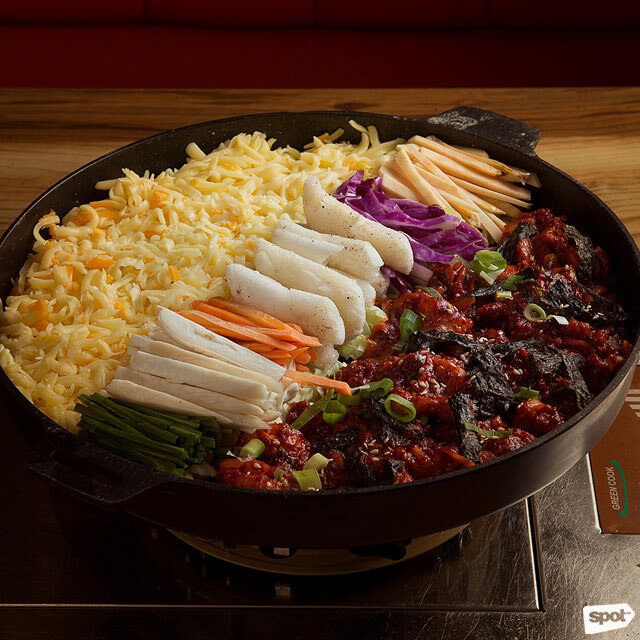 So it's no surprise that Jin Joo Korean Grill is combining both in their newest cheese fondue dish: the Fire Chicken With Cheese (P825). 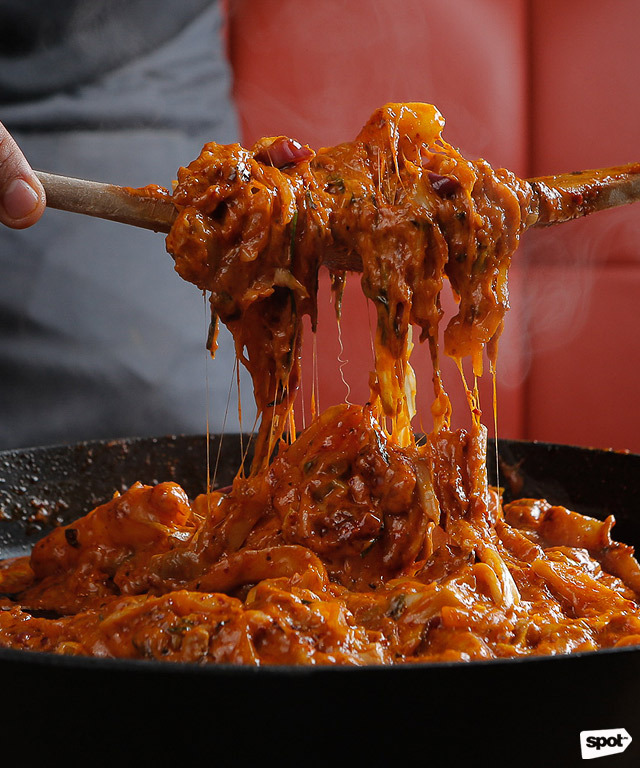 An order will get you a large cast-iron plate of barbecue-glazed fire chicken with tteokbokki or sticky Korean rice cakes, onions, sweet potatoes, and lots of shredded mozzarella and cheddar. 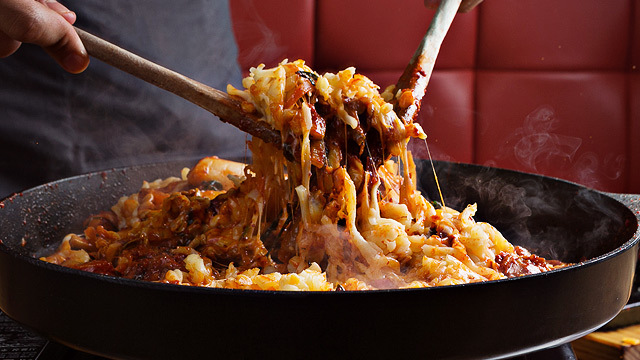 Everything is cooked on top of a stove in front of you until the cheese melts and turns the entire dish into a gloriously gooey mess. 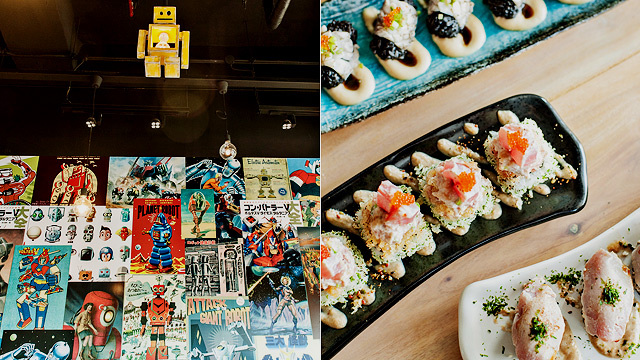 If you don't think you can handle heat that well, don't worry because the Fire Chicken is only mildly spicy—just enough to push you towards that next bite. Kimchi Udon Stir-fry (P350) has udon noodles, kimchi, bacon, and seaweed. 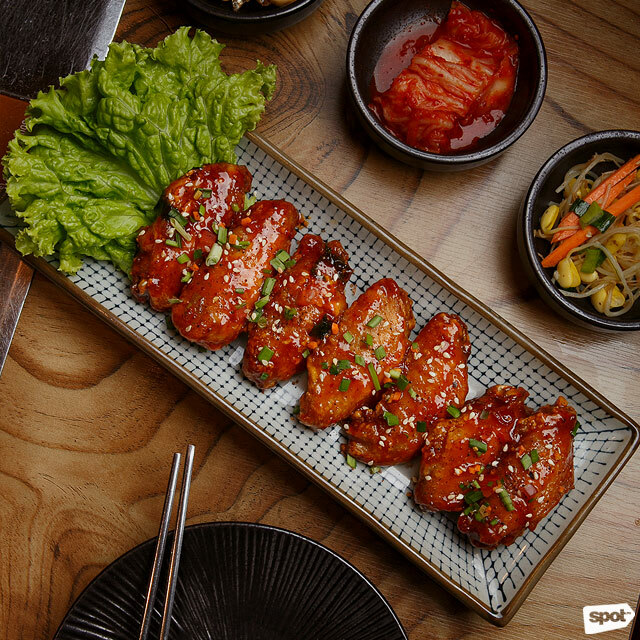 The twice-fried Jin Joo's Wings (P390) has an addicting coffee-gochujang (Korean spicy paste) glaze. 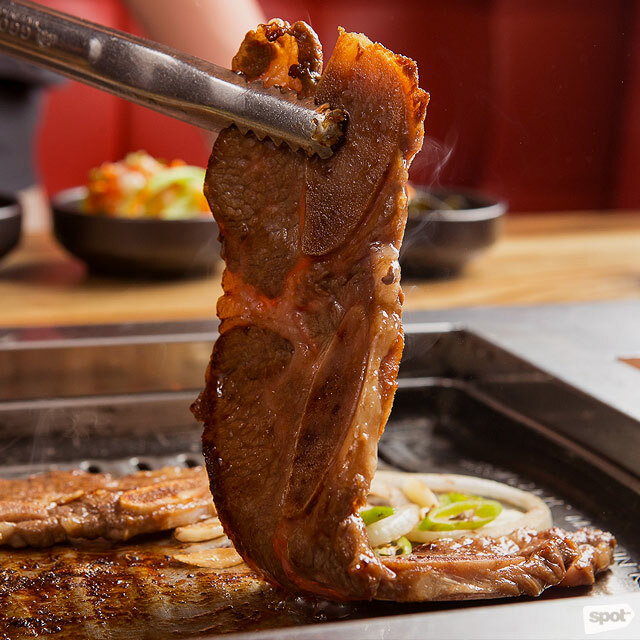 Also new on their Korean-barbecue selection are the LA Galbi (P950), which has marinated USDA prime short ribs and Kotsal (P1,100) or USDA prime boneless short ribs. 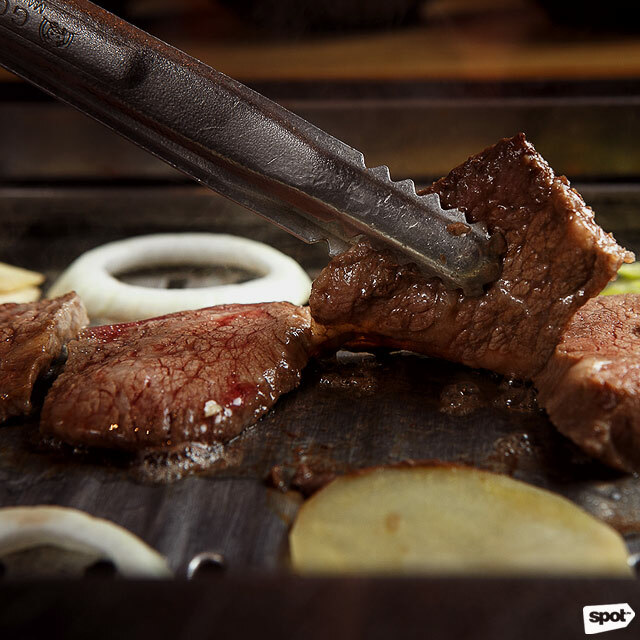 Both turn incredibly tender after grilling, with the marinade of the LA Galbi giving it a lip-smacking mildly sweet flavor.